This was a fun and challenging project: convert a Mercer Island master bedroom closet into a fully functioning kitchen. The original room was 7’ x 7’ after removing a wall and raising a support beam the final kitchen size was approximately 7’ x 9’. The final kitchen had all the features and accessories of a standard kitchen: pullout drawers, lazy susan, upper corner cabinets, organized full height pantries. The customer wanted to have a kitchen for an aging parent and thought a standalone kitchen would be best. 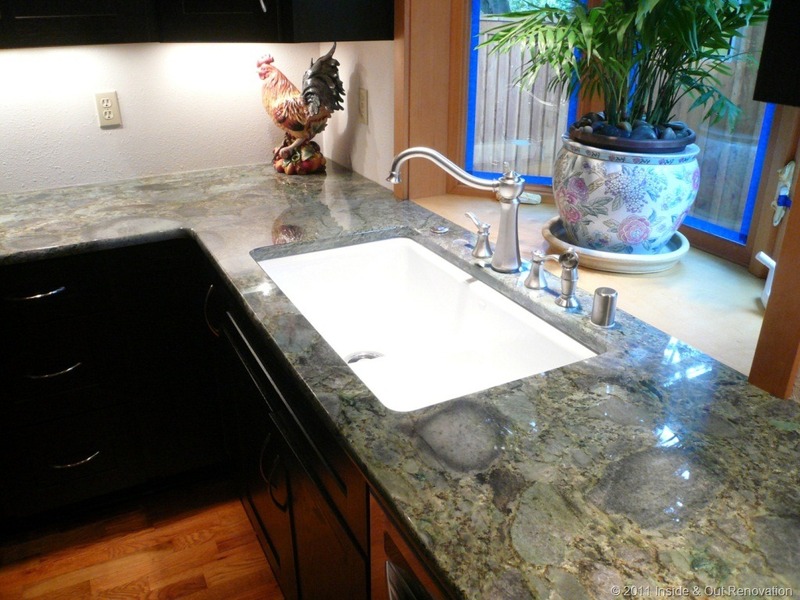 A one of a kind granite countertop nicely accents the Moen faucet and a Kohler under mount sink.